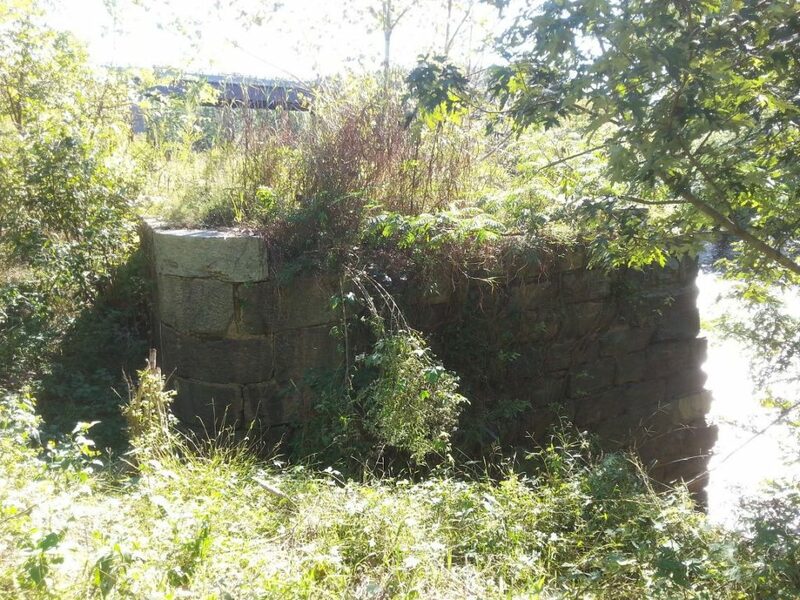 Palmyra Lock on the Rivanna River – Before Cleanup – October 12, 2016.
at 72 Main Street, Palmyra, Virginia. VC&NS past President, Mr. Brian Coffield, is planning a canal lock cleanup event at the Palmyra Lock on the Rivanna River. This is a great opportunity for members to be involved with an activity with the VC&NS by helping clean up this lock. Volunteers are needed and all help will be appreciated! If you would like to bring a weedeater and/or chain saw, that would be appreciated. The outside wall is accessible only to tree climbers and we would like the assistance of at least one professional tree climber to help us clear that wall. If there are any questions, please contact Brian Coffield 434-760-1183.